Las Vegas! All expenses paid! Normally, a trip like that would be a dream come true for a widowed, mother of three, who just happens to be grim reaper. Here’s the thing though, situations rarely work out as I imagine they should. And usually not in my favor. This time isn’t any different. Instead of the endless free drinks and gambling I’d been hoping for, I get the opposite—demons, water zombies, and a bimbo ghost roommate, who gives new meaning to the phrase dead drunk. But it’s not all bad. I’m making new friends, learning spectacular reaper skills, and saving souls. I just hope I don’t lose mine before I can get the Underworld all sorted out. 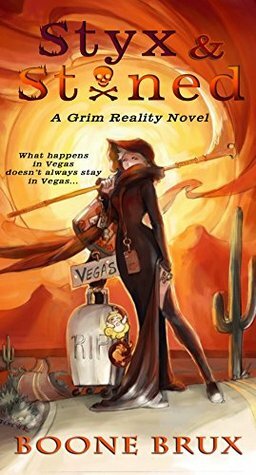 A week in Vegas sounded heavenly for Lisa, widowed mother of three and Grim Reaper. 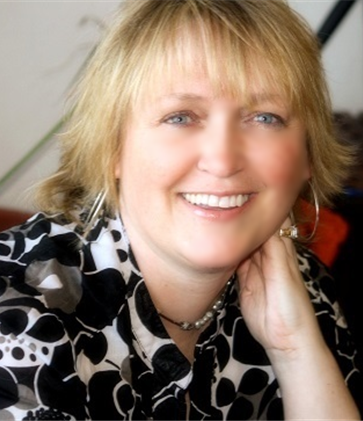 Lisa was traveling to Vegas for a GRS conference which sounded rather dull but might be fun. When Lisa arrives in Vegas she is so surprised to find more souls than she usually sees in an area. Maybe Vegas just has more dead? Who knows, food, alcohol, sleep and gambling awaits and not necessarily in that order! Here she meets Mara and Cam who are partners like her and Nate are. Mara and Lisa become instant friends and find themselves in all kinds of trouble. Brux has a hilarious writing style that keeps you laughing and smiling through the whole book. Her characters are relatable even if they are grim reapers, angels, demons and souls. Another fabulous book in this series and I will be impatiently awaiting the next adventure.